Our official Super League Grand Final corporate hospitality packages offer the very best VIP match day experience for the season finale on Saturday 7th October 2017. With various packages available we are sure to have something to suite your budget and requirements. Starting with our Silver Package for people looking for a less formal option through to our Executive Box options for people looking for a truly VIP experience we are sure that you and your important clients and guests will have a day to remember. Our Silver and Super Silver Super Packages are ideally suited to those who are looking for a less formal hospitality package. 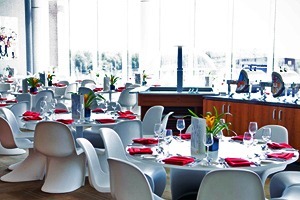 With the executive seating for your package located in either the North West Quadrant of the Sir Alex Ferguson Stand you and your important clients and guests will enjoy a 3-course meal and access to a cash bar facility. If you are looking for an entry level Super League Grand Final corporate hospitality package than our Silver & Super Silver options are for you. Our Platinum and Diamond Packages are ideally suited to those who are looking for a more formal hospitality experience. 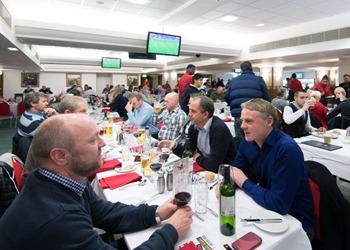 With the executive seating for your package located in either the Sir Alex Ferguson Stand or the Sir Bobby Charlton stand you and your important clients and guests will enjoy a welcome drink on arrival, a 4-course meal and a half-bottle of wine per person*. If you are looking for a premium Super League Grand Final corporate hospitality experience then our Platinum and Diamond options are for you. 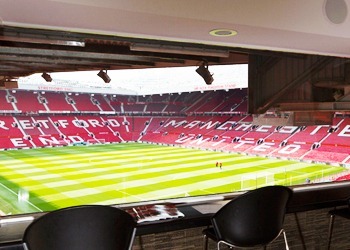 Our Executive Boxes are ideally suited to those who are looking for a truly VIP hospitality experience. 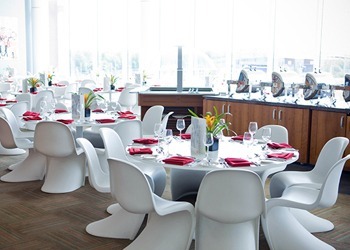 With 5 seater boxes available in the East or West stands and 8 seater boxes available on levels 3 and 7 of the Sir Alex Ferguson Stand you and your important clients and guests will enjoy a 3-course meal and access to a cash bar facility. If you are looking for an exclusive Super League Grand Final corporate hospitality experience then our Executive Box options are for you. North Western Trains operate matchday only services from City Centre Stations direct to Old Trafford Stadium where the station is located alongside the South Stand. There are frequent Metrolink services from the City Centre to Old Trafford station which is situated within a five minute walk of the stadium. Super Silver Packages are ideally suited to those who are looking for a less formal hospitality package whilst making sure that you and your important clients and guests will have a day to remember. I had never booked hospitality before but Eventmasters made the process really straightforward and a super day out was had by all. Growing up I never saw myself sitting in the posh seats but with the deal that Eventmasters done for me it wasn't much more than a general ticket. We have a dedicated page where you can view, download and print all of our event information for the Super League Grand Final.